It is easy to confuse ORNL with the other facilities in Oak Ridge. 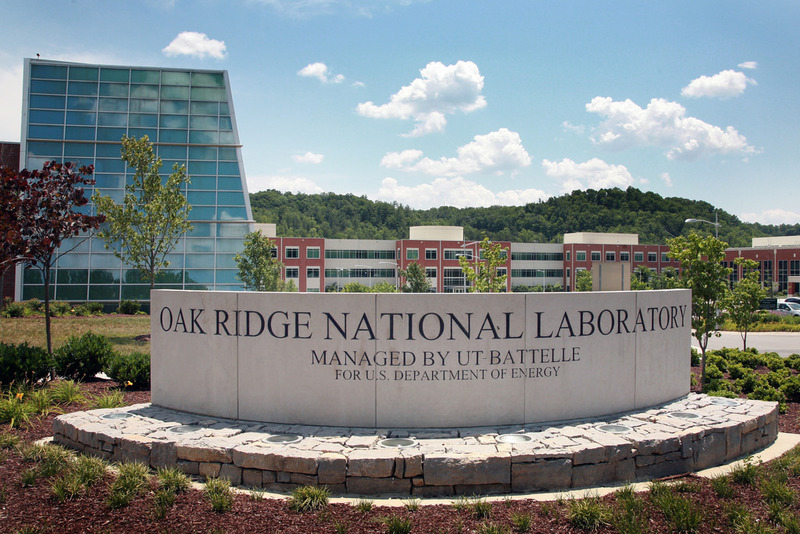 Oak Ridge National Laboratory is a multiprogram research laboratory managed by UT-Battelle, LLC, for the U.S. Department of Energy (DOE). The laboratory is located on the Oak Ridge Reservation, a 30,000-acre tract of land in East Tennessee. Most of DOE's national laboratories are operated under contract by private companies such as UT-Battelle. The missions of ORNL are primarily for open research. Although a small percentage of ORNL's work is classified or restricted under its growing national security programs, the majority of the laboratory's work is published in the open literature. Many of its facilities are user facilities, which means that they are available to researchers from other national labs, academia and industry. The Oak Ridge Reservation is also home to two other DOE facilities: Y-12 and the East Tennessee Technology Park, formerly known as the K-25 Site (see Wikipedia article) or Oak Ridge Gaseous Diffusion Plant. Both of these sites are completely separate entities from ORNL, located several miles apart and managed by different contractors. The Y-12 National Security Complex is managed by Consolidated Nuclear Security. Y-12 is a National Nuclear Security Administration facility (part of DOE) with a primary mission of nuclear weapons production. ORNL does no nuclear weapons production work. In fact, ORNL has had no nuclear weapons mission since the end of World War II's Manhattan Project (see Wikipedia article). UT-Battelle has no management role with Y-12. The East Tennessee Technology Park is the former K-25 Site or Oak Ridge Gaseous Diffusion Plant and is currently under environmental remediation in preparation for other reuse missions. The ETTP prime contractor for these activities is the UCOR. UT-Battelle has no management role with ETTP. UCOR is the prime contractor for most environmental management activities at DOE's Oak Ridge sites, including those on the ORNL campus—for example, the cleanup and demolition of old facilities. The Oak Ridge Institute for Science and Education is a DOE entity that focuses on occupational health risks and environmental cleanup assessment, emergency response and educational missions. It is operated by Oak Ridge Associated Universities. UT-Battelle contracts some services from ORISE, but has no direct role in its management. References that place the other Oak Ridge facilities under ORNL, such as "Oak Ridge National Laboratory's Y-12 weapons facility," are incorrect. The ORNL, ORISE, Y-12, and ETTP facilities come under the federal umbrella of the U.S. Department of Energy.